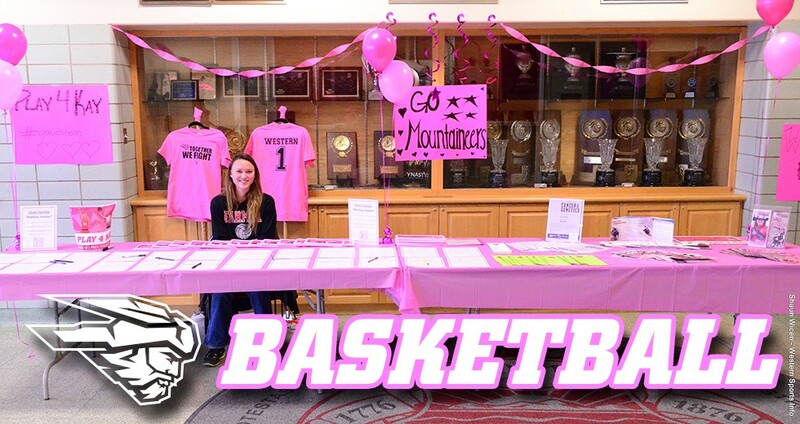 GUNNISON, Colo. – Over the course of a week, leading up to and during Western State Colorado University’s Play4Kay basketball game against Fort Lewis College on Feb. 9, the Mountaineers raised $1,700 for cancer awareness. Western women’s basketball will be donating $1,000 to the Kay Yow Cancer Foundation and $700 to the local chapter of Tough Enough to Wear Pink. The week-long fundraising effort included the Pink Box initiative, where anyone could purchase a mystery gift box filled with gift certificates and Western Athletics gear. The Mountaineer women’s and men’s basketball team also auctioned official pink warmups worn by the players prior to the game against FLC. Also during the week, Lisa Merk APN/CNM came and spoke to Western student-athletes about women’s health issues and early detection methods. Western women’s basketball would also like to recognize the week’s sponsors: Colorado Fitness, The Mountaineer Athletic Association, Sportsman’s Liquor, Salon 144, McDonald’s, Backcountry Café, Treads and Threads, The W Cafe, Mocha’s Coffeehouse and Bakery, Mountaineer Men’s Basketball, Mountaineer Women’s Soccer, Mountaineer Football, Mountaineer Track and Field, Mountaineer Wrestling, The Bean Coffeehouse and Eatery, The Gunnisack, Double Shot Cyclery, Firebrand Delicatessen, Sonic, Taco Bell, Jermaine’s, Ace Hardware, The Western State Colorado University Bookstore, Pie Zans Pizza, Agave Mexican Restaurant, Miller Furniture, Chief Hal Hearn and the Ohio City Volunteer Fire Department, Heidi Sharratt Bogart and Tough Enough To Wear Pink, Jay Hill, and finally Lisa Merk and the Sopris Women’s Clinic of Crested Butte and Gunnison. 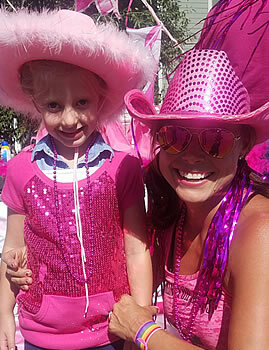 Because of financial support from PLAY4KAY events across the country, the Kay Yow Cancer Fund has awarded over $5.28 million for scientific research and projects assisting the underserved in ALL women’s cancers. During the final stages of her battle with cancer, Olympic and Naismith Hall of Fame Coach, Kay Yow, had a vision to unite coaches, players, and the women’s basketball community to do something for the greater good that would far exceed wins and losses.